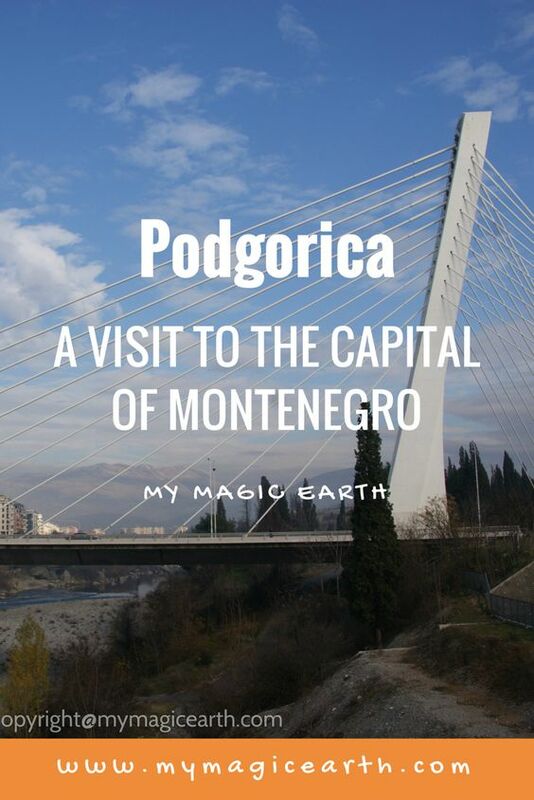 Podgorica is the first place of our Montenegro road trip. We took Montenegro Airlines from Frankfurt am Main to Podgorica. This was the first time we took this airline. The service was good and there was a simple supper included as well. The plane was quite new and seats were comfortable. Shortly before landing, the sunset view outside the window was awesome. When we landed in Podgorica Airport there were no other passengers than us, no staff in sight and no border control either. Shortly after we went into the empty hall our luggage was delivered via a very short belt. Within a few minutes all passengers took their luggage and disappeared in the darkness. Most of them were locals. We had to pick up our rental car. At the counter there was one staff waiting for us. When we got our car, the staff disappeared right away. The whole airport was empty, no single staff and passenger. Airport is not far from Podgorica city center. The distance is around 10 kilometers. We just followed E80 and drove straight towards Podgorica. Within a few minutes we arrived at our hotel. After check-in we rushed to the dining room and took a nice corner to rest ourselves. But the friendly waiters right away asked us to move to other seats, because the ceiling near our seats was leaking. Above the dining room there was a swimming pool and it had a leaking problem. Several buckets were placed there to capture the drippings. Hotel technicians would do the repair work after the weekend. We were afraid that the whole ceiling would collapse any time. But the waiters assured us that this would not happen. They tried to divert our upset by introducing their menu of the day. A few business travelers arrived as well. People started chatting and drinking. The whole dinning room turned to be lively. When we were back to our hotel room we felt so chilly. The heating was not working. The night temperature was very low there. So the hotel staff hurried to prepare another room for us. However, after another half hour of heating the second room we still felt cold. A balcony door was not able to be closed properly. The cold air came in straight from the door gap. Hotel staff could not find another standard room for us. They quickly made a decision to upgrade us to a suite. Nearly all staff worked that evening were involved in this unexpected event. Finally around midnight we were able to touch the soft pillows. 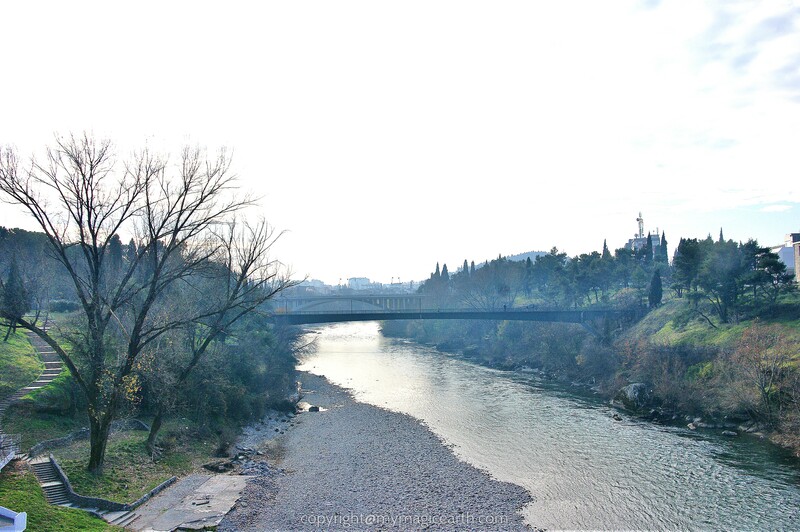 The second day of our Montenegro road trip was to explore Podgorica. Before we headed to our hotel in Tivat we had a short walk around the Millennium Bridge. There was no sign-posted parking place and we just parked roadside near the bridge. The Millennium Bridge is located on the west side of Podgorica City Centre and is modern compared to surrounding buildings. The official name of the bridge is Most Milenijum. It is interesting to know that the English word “Most” refers to “Bridge” in local language. 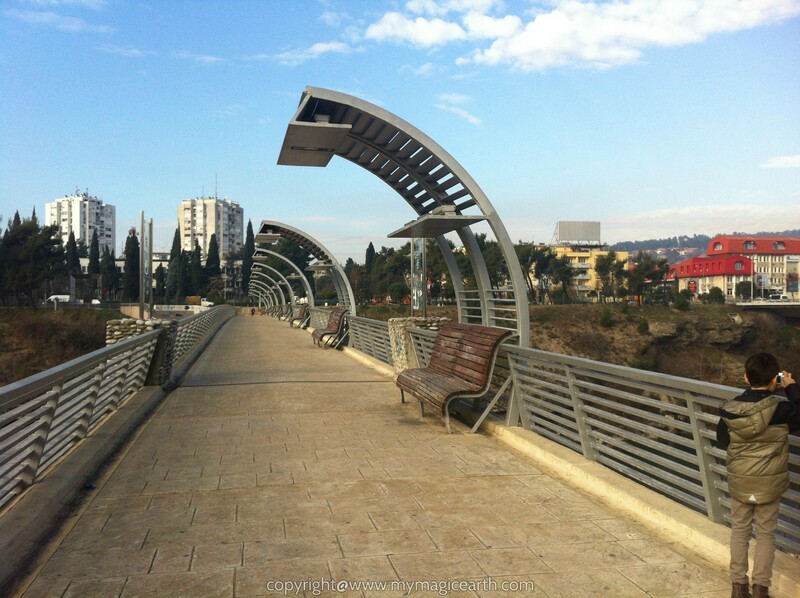 Next to Most Milenijum is a pedestrian bridge which is called Moskovski Most. Both Most Milenijum and Moskovski Most cross Morača river. Some buildings in the surrounding area are collapsed and no one lived in. Many tall buildings were built in the communist era. The actual destination on the 2ed day of our Montenegro road trip was Tivat, where we would stay for the next 6 nights. Podgorica has good location and traffic connection with the south and the hinterland. The distance between Podgorica and Tivat is around 87 kilometers or 95 kilometers, depending on which route we would take. The navigation system told us it would take less than two hours to be there. Being uncertain of the road condition and unfamiliar with driving in this country we decided to leave the capital earlier than planned. We took the shorter route via M2.3. The duel-carriage road is under well-maintained condition. However, when passing by local villages and towns some roads were in less good condition and we still took precautions. During the off-season there was less traffic on the road. We arrived in the late afternoon and were warmly welcomed by hotel staff. There is not that much to see in Podgorica. But the capital is a good base to explore the other locations. If you arrive at Podgorica Airport, you can join some tours to see part of this country. Please click www.viator.com or www.GetYourGuide.com to see the details of those tours. 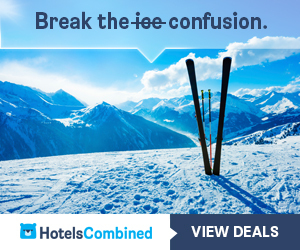 There are a few hotels in the capital. The prices are not high, compared to those in tourist resort area. 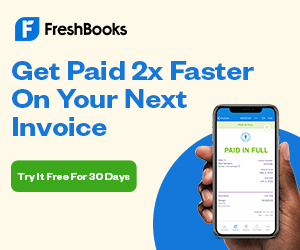 Please check the following platform for a good offer.